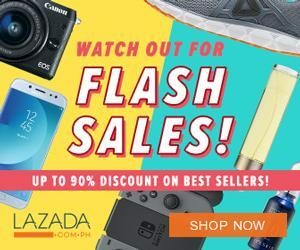 Slurp out loud for CafeFrance’s World Pasta Day 2018 Promo! Pasta lovers REJOICE! The most beautiful days are finally here and it’s time to celebrate your love for this carb-loading dish. Whether it’s beefy lasagna, comforting carbonara, or saucy spaghetti, we love pasta in all its guises! Thrill your tummies with CafeFrance’s World Pasta Day 2018 Promo. Head to nearest CafeFrance store and load up your plates full of the curly goodness. Get your pasta fix for only Php129 when you dine from October 25-26, 2018. 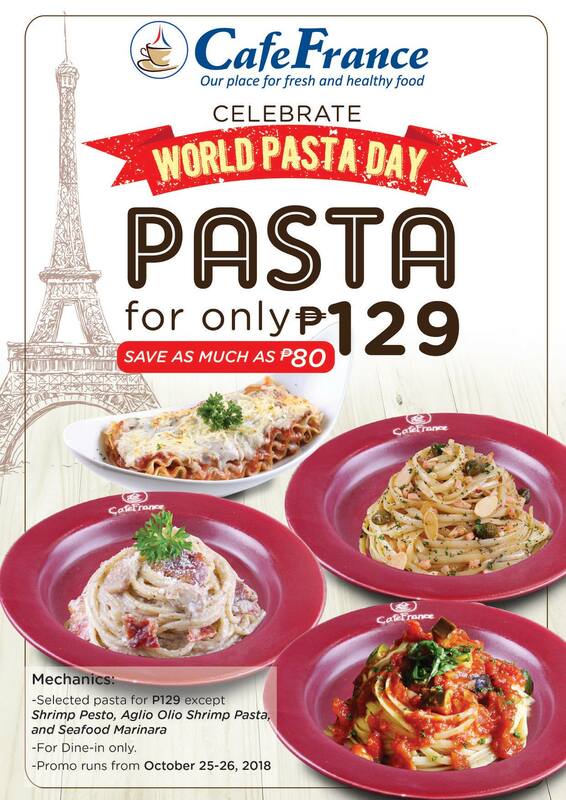 The promo is valid for select pasta variants EXCEPT Shrimp Pesto, Aglio Olio Shrimp Pasta and Seafood Marinara. Tag your food buddies and get ready to embark on a culinary voyage that will delight your appetite. Manila Doctors Hospital, UN Ave.
For more details and inquires, you may visit their official Facebook Page.